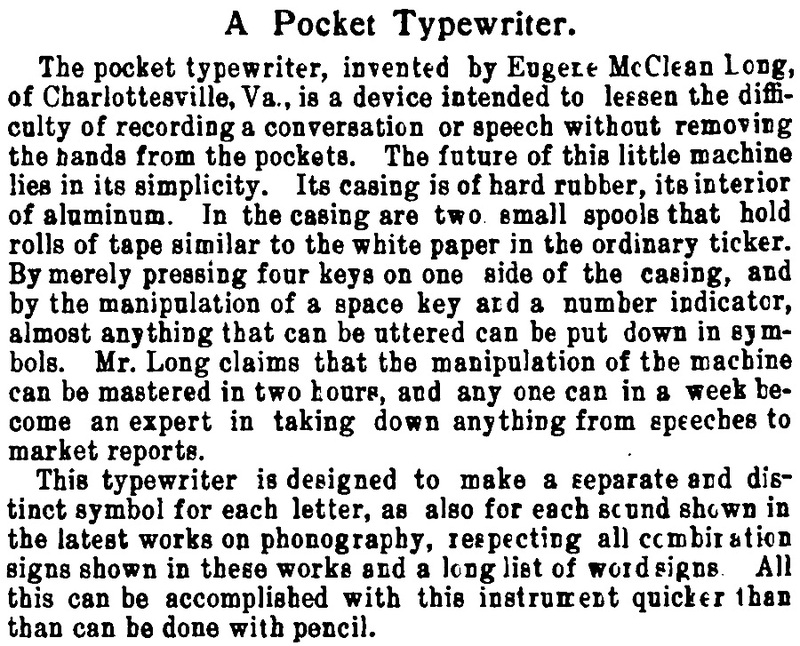 The Pocket Typewriter (or Recorder) was a novelty item, and it is uncertain any were manufactured commercially. ETCetera wrote about this variety of typewriters in its June 2008 issue (see here), observing that development of these machines continued even into modern times. In 1899 and 1900, Eugene McClean Long filed two patents for his ingenious machine: U.S. 653,104 (here) and U.S. 647,853 (here), which improved upon the design. It’s a shame that no production models are extant. Even Owens speaks of a photo of the pocket typewriter appearing in the Standard Book of Knowledge. 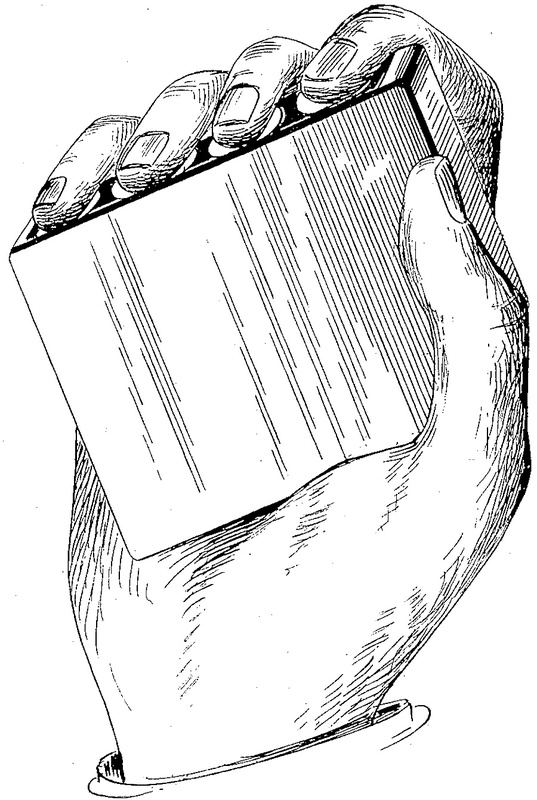 An American Home Educator (1904), but that image is of a Lambert, which is not pocket-sized by any stretch. See here for this misadventure. 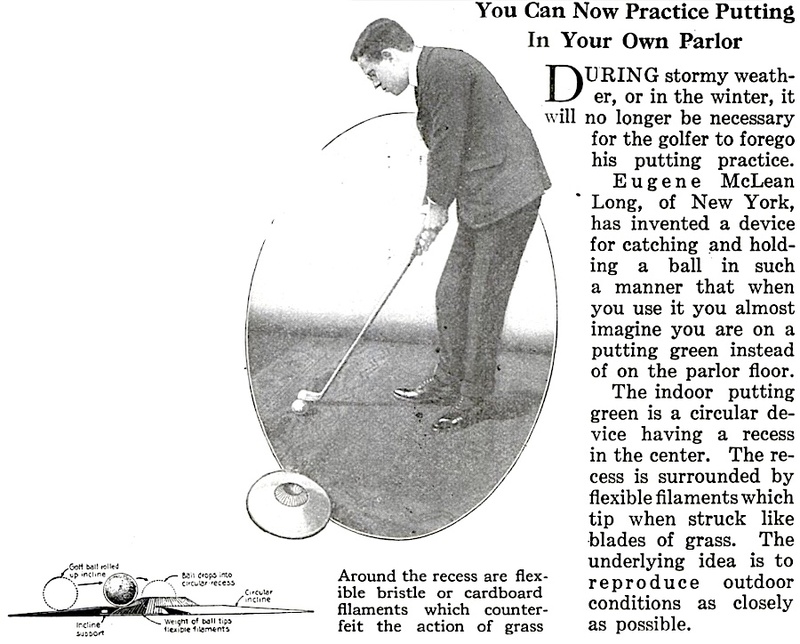 Long later developed a series of golf products. If it were ever produced it would have been the ultimate spy typewriter.